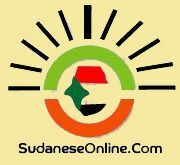 In what journalists have termed "a massacre of the Sudanese press", the print runs of 14 publications were confiscated by Sudanese security agents (NISS) on Monday morning. No reasons were given for the move. Protesting journalists said this mass confiscation of newspapers is unprecedented in Sudanese history. Al-Sudani, Al-Rayaam, Al-Intibaha,Al-Tayar, Al-Saiha, Akhir Lahza, Awal Al-Nahar, Al-Migher Al-Siyasi, Al-Watan, Alwan, Al-Ahram Al-Youm, and Akhbar Al-Youm with political comment were confiscated in the dawn raids, and two social magazines Agdar and Sikayat were also seized. Journalist and writer El Haj Warrag, founder and director of Hurriyat, an independent news website, condemned the NISS raids, suggesting the intention is ‘a cover-up against corruption’. 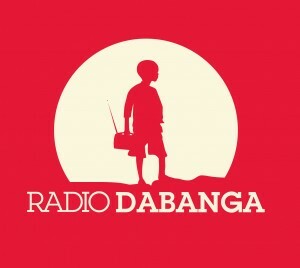 In an interview with Dabanga, he said “the huge level of corruption in Sudan cannot be hidden by silencing journalists” pointing out that the NISS have a ‘black list’ of 25 journalists who are not allowed to write for Sudanese newspapers. She stressed that her Council would contact the Presidency, the partners of journalism in the country, representatives of the Union of Journalists, publishers, editors and the Ministry of Information and Security Service to contain the negative effects of what has occurred. In a statement today, the National Consensus Forces expressed full solidarity with “the press family that was hit today in the massacre." On behalf of the government, Information Minister Ahmed Bilal said “the confiscation by security agents of 14 newspapers on Monday is justified by law. He threatened to clamp-down on “any attempt to broadcast sedition and threats to national security. According to the 2014 World Press Freedom Index, monitored by Reporters Without Borders, Sudan rates within the bottom 10 of the 180 countries surveyed.